A look at the new headset controls. I like it! So I’ve had my Xbox One for about five days and so far it’s been more amazing than I could’ve imagined. I’m in love with voice controls. 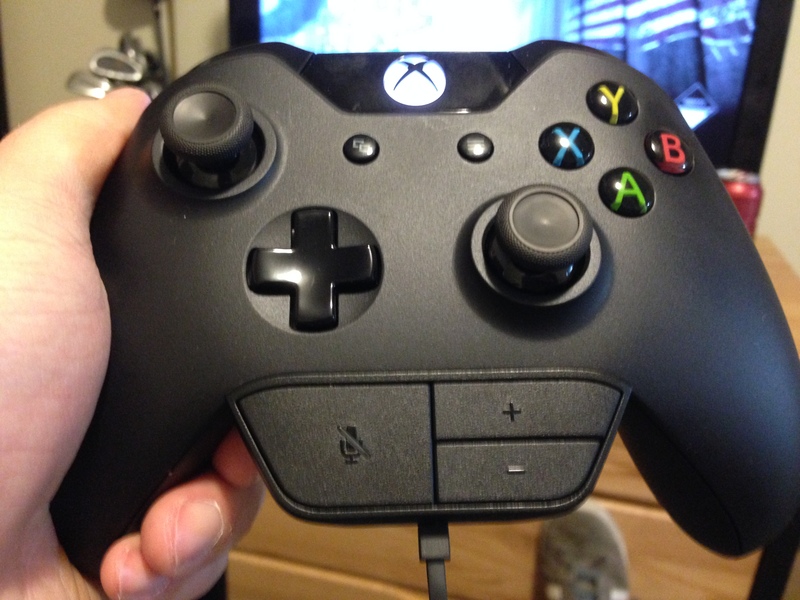 It’s so easy to swap between apps or games without even picking up a controller. If I get a message I simply say “Xbox go to messages” and in less than 2 seconds I’m seeing my messages. I say “Xbox Go to Dead Rising 3” and I’m back in the game. The quick resume feature is also blowing my mind. I don’t even have to save a game, I just turn the Xbox off and when I turn it back on at a later time I can jump right back into whatever game I was playing at the exact same spot without any loading screens or title screens. Pretty awesome! 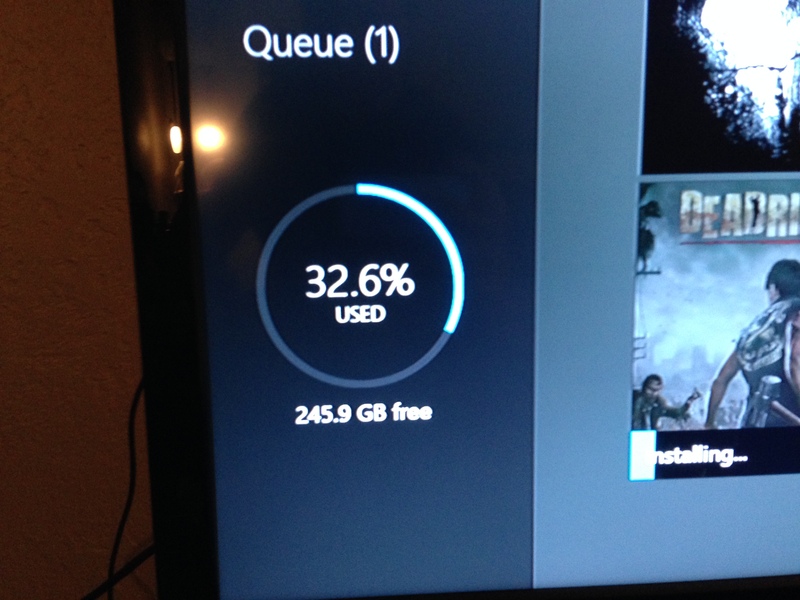 I’m loving the entire Xbox One experience. I’ve been watching TV on it via DISH Network and it works seamlessly. 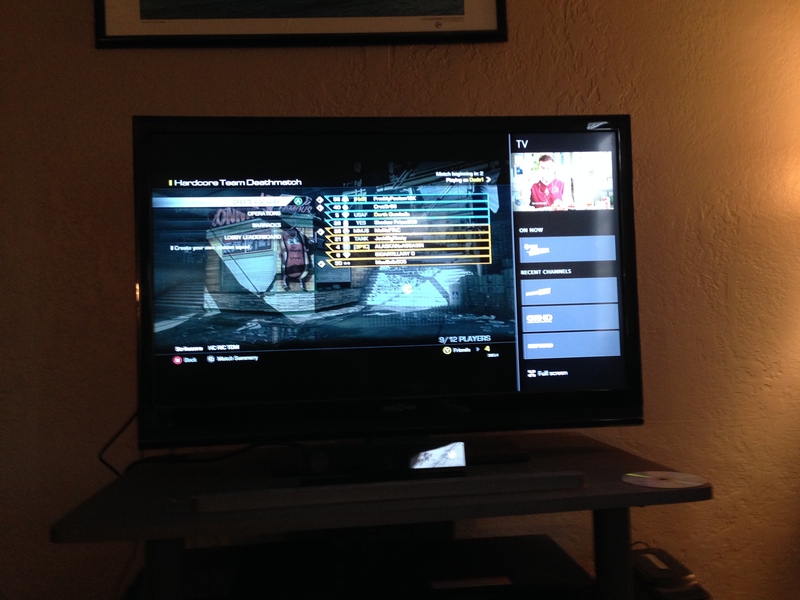 The other day I snapped TV and watched Modern Marvels while playing Call of Duty Ghosts. It was great because I could listen to the program as I played and if something piqued my interest I could glance up at the top right corner and see what was going on. Also I’d watch while waiting to respawn or while matches were loading. I’m also loving the whole Xbox ecosystem more than ever. The Xbox Music app is pretty awesome. The menus and the way it displays artist pictures as you’re listening is very pleasant. I’ve enjoyed using it as I’ve done things around the house and most likely will remain a subscriber for $9.99/mo. Would it be nice if they threw in Xbox Music for free for Gold subscribers? Sure, but with music royalty fees I can’t see anyway they’d be able to do that. Spotify is a similar service and is also $9.99 a month for the full featured version. I rented a movie using Xbox Video last night and it was quick and easy. It was actually quicker to rent a movie using the Xbox than it would’ve been via DISH On Demand or Amazon Instant Video. The quality was great and I got a few achievements in the process (app achievements are all worth 0 points so far, but will show up in your achievement list and feed as being accomplished). Playing with friends is as easy as ever and I enjoy the party system / app. I played a bit of Call of Duty Extinction with my buddy last night and it was a great time. I’m also loving the Xbox DVR and Upload Studio features. I’ve made quite a few videos and uploaded them to SkyDrive with ease. If you want to share these videos on Facebook or YouTube you simply logon to your SkyDrive account and you can download the .MP4 file to do with as you please. I’ll be sharing some of my videos soon, but right now I’m at Starbucks so I won’t upload them all here. I’ve been uploading them to Facebook for now but will put a few up on YouTube to share here. I played about an hour of Dead Rising 3 last night and it’s an absolute blast. One of the most fun experiences I’ve had in awhile. Creating weapon combos and wreaking havoc on HUNDREDS of on screen zombies is a constant rush. It’s also fun to hop in a car or a steamroller and flatten zombies by the dozen. One thing to note, the games require huge updates! 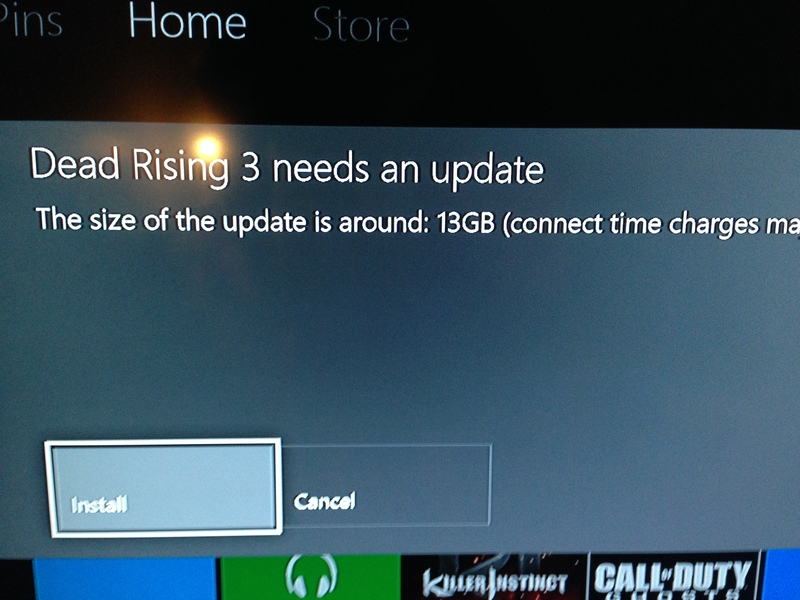 Forza 5 required a 9GB update right off the bat and Dead Rising 3 required a 13GB update! The good news is that once the update is about a quarter of the way done you can start playing the game. I still have yet to play RYSE but will probably play some today if I can pull myself away from Dead Rising 3 and Call of Duty Ghosts. If you’d like to play a game, add or follow me on Xbox Live. My gamertag is Darth Gumballs. I’ll post some gameplay videos when I have the chance, until then have a good day! This entry was posted in Video Games and tagged Call of Duty Ghosts, Dead Rising 3, Kinect, Microsoft, RYSE, Xbox, Xbox Music, Xbox One, Xbox Video. Bookmark the permalink. New owner of an Xbox One!